EMSpedia and Emergency Live are pleased to announce the collaboration with IRC-Italian Resuscitation Council. On EMSpedia we will re-launch posters and scientific publication from the last National Congress. 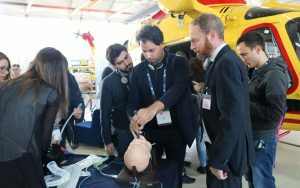 The development of a research project about the psychological condition of patients resuscitated from cardiac arrest, aiming to identify resuscitated-specific symptoms patterns and to design psychological interventions to tackle the psychopathological consequences of the cardiac arrest (CA). Providing psychological support to survived patients categorized in a Cerebral Performance Category (CPC) £ 2 (patients with null or mild neurological and cognitive impairment). The research project uses a mixed methodology with both qualitative and quantitative design. 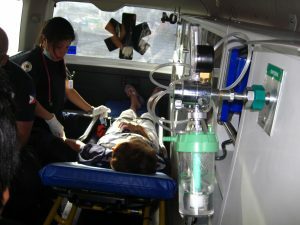 Semi-structured interviews were conducted on twelve resuscitated patients and on their ten relatives. The topics investigated, through the interviews, regarded the personal narration and health information about the CA, changes in life-style, emotions, thoughts, social relationships in the aftermath, current emotional and cognitive symptoms, concerns about one’s health and caring needs. A IEP psychologist and a IRC delegate conducted the interviews. They were recorded, verbatim transcribed and analysed using the content-analysis method. The quantitative survey aims to assess the psychopathological effects of the CA and its derived medical impairment. 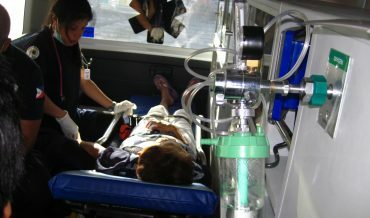 A self-reported questionnaire is being administered through an online platform (a web registry hosted by IRC Foundation https://fondazioneirc.org) and paper-format questionnaire (delivering it to the home address of the participants) on a sample of approximately 60 Italian patients resuscitated from a CA. the Connor-Davidson Resilience Scale (CD-RISK 10; Campbell-Sills & Stein, 2007). 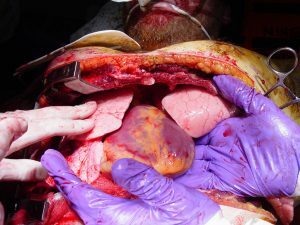 The identification of the survivors’ symptomatic patterns and their eventual correlation with the cardiac arrest will also allow the development of further researches (i.e. the appropriate supportive intervention they need). The “NOSTOS” project aims to empirically investigate the psychopathological consequences of the cardiac arrest. Based on the results of the qualitative inquiry and the quantitative survey, the project will also allow the development of a supportive intervention to reduce negative consequences and to promote a better quality of life in survivors during their come-back to the “normal” life after the hospitalisation. Riccardo Boverio is the president of the Italian Resuscitation Council Foundation (IRC Foundation) and member of the Italian Resuscitation Council (IRC). Anita Luciani and Stefano Gandolfi are researchers at IRC Foundation. Rita Erika Fioravanzo is the president of the “Istituto Europeo di Psicotraumatologia e Stress Management” (IEPSM). Lia Calloni and Marco Marinucci are researchers at IEPSM. Eisenburger, P., List, M., Schörkhuber, W., Walker, R., Sterz, F., & Laggner, A. N. (1998). Long-term cardiac arrest survivors of the Vienna emergency medical service. Resuscitation, 38(3), 137-143. Campbell-Sills, L., & Stein, M. B. (2007). Psychometric analysis and refinement of the connor–davidson resilience scale (CD‐RISC): Validation of a 10‐item measure of resilience. Journal of traumatic stress, 20(6), 1019-1028. Blevins, C. A., Weathers, F. W., Davis, M. T., Witte, T. K., & Domino, J. L. (2015). The posttraumatic stress disorder checklist for DSM‐5 (PCL‐5): Development and initial psychometric evaluation. Journal of Traumatic Stress, 28(6), 489-498. Bottesi, G., Ghisi, M., Altoè, G., Conforti, E., Melli, G., & Sica, C. (2015). The Italian version of the Depression Anxiety Stress Scales-21: factor structure and psychometric properties on community and clinical samples. Comprehensive psychiatry, 60, 170-181. 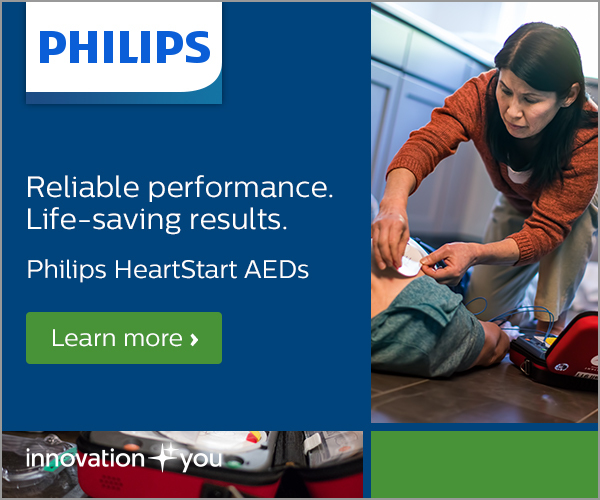 Cardiac Arrest and Resuscitation: What could be new in 2018?